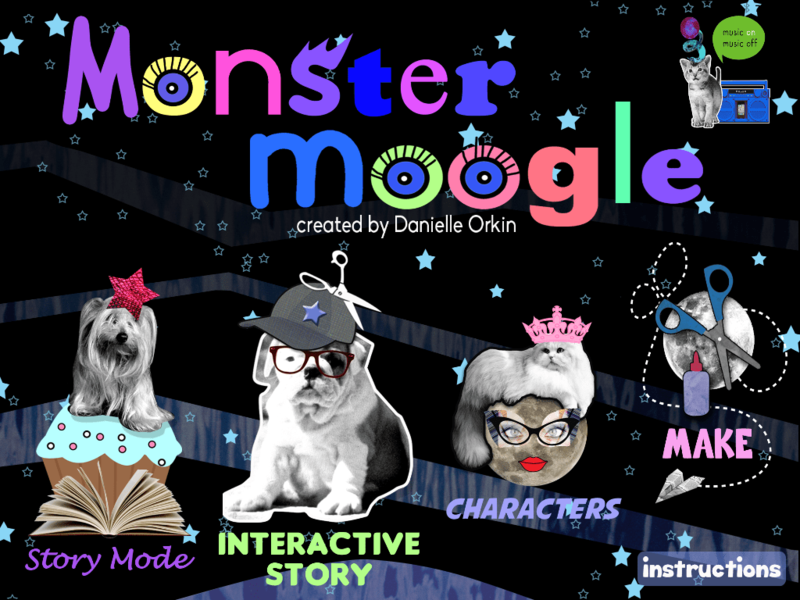 Monster Moogle by Danielle Orkin is an iPad app that has a storybook and collage for kids. The app was created for the enjoyment of children who love to use their imaginations and creativity. Both parents and kids will be able to enjoy Monster Moogle storybook and collage together. How does the app educate? The story book helps children learn new words. It also encourages them to look at common objects and animals in a different way. For instance, each of the characters were created by collage techniques and show that monsters are only from our imaginations. In addition, the collage maker gives them an opportunity to practice creative writing, spelling, and art. Good quality for a low cost. This app is only $1.99 and completely delivers a unique approach to monsters and creativity in a kid-friendly manner. Yes, the app is interactive. if you have a new budding reader, they can read the story on his or her on. The other interactive story book option will read the story to the child. The music can be turned on or off. By clicking on the images the app moves and provides a fun element for children to enjoy. Yes, my kids like the pictures and the collage maker the most and I enjoy the upbeat music and the kid who narrates the story. The collage maker is easy for kids to use. They can make their own cool characters/monsters and their own stories. This app is recommended for kids from 6-8 years old. I think kids from 5-10 who enjoy creating new things and art will probably enjoy it the most. What’s unique about the app? The collage maker is usual. The story itself is made up of many different collages and with the Monster Moogles’ s Collage Maker kids can also make up their own characters. When a character is saved he or she can also save the collage with a name and make up their own story. The collage offers 10 FREE categories and more than 200 images. Is there anything that needs improvement? I have an iPad 2, and although all updates were properly, I experienced some stability issues. In order to correct those issues I had to restart my device after installation, which is recommended. It also took a while for the app to load after the updates were downloaded. Overall, I thought the app was perfect for kids. The message that creativity is fun is great. The storybook also gives parents and children the opportunity to dialog about monsters and creativity in the future. A complimentary download of this app was received to facilitate this review. All opinions expressed are honest and my own. The enclosed youtube video is from the app creator, be sure to subscribe to her youtube channel.